Subjects who used a 0.1% cetylpyridinium chloride (CPC) mouth rinse (Crest Pro-Health Clinical, Proctor & Gamble) accumulated significantly less plaque than those who used routine dental hygiene, researchers announced here at the American Association for Dental Research 2012 Annual Meeting. Subjects who brushed and used the rinse for 2 months had less than half the overnight accumulation of plaque than subjects who only brushed, researchers reported. "At all time points, the CPC group showed a significant reduction in mean plaque area coverage, while the control group increased significantly from the baseline," said Mabi Singh, DMD, MS, associate professor of public health research and oral medicine at Tufts University in Boston, Massachusetts. 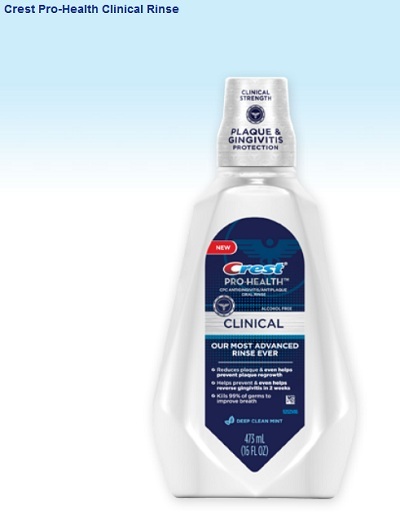 The maker of Crest Pro-Health Clinical, Procter & Gamble, sponsored the trial. Of course, there needs to be more study and there may be some nasty side effects, including a loss in taste and discoloration of the tongue. But, dentistry has been looking for a "magic" mouthwash for decades, and if plaque can be reduced, then so will tooth decay and periodontal disease.